If you have arrived here via a link (such as to a tutorial) click on "Sew Karen-ly Created" to return to the latest blog post. I invite you to my website to see a gallery of quilts and patterns available for purchase. Pictured is "Grandmother's Blossoms"; pattern is available here. Comments are always appreciated, simply click the word "comments" at the end of each post to leave your message. Thanks for stopping by! Suppose They Will Go For It? We've added four more "hands" to the workforce. Polly has had an exhausting few days. She has taken on the responsibility of overseeing every single thing that takes place in the household. If it moves, Polly is on it. Here she is checking out my quilting, making sure the stippling around the feathers is even. Yesterday she helped eldest son and I stain the deck rails. Shortly afterwards, she had her first bath. At the end of the day, Polly is more than ready for a cat nap. I am sure she wonders how we managed all of these years without her. And we do too. Like Cato in the Pink Panther movies, Polly appears at lightning speed out of nowhere to zoom across the end of the quilt. (Would this make it a "cat"-0 attack? *-). We Have A New Baby! My blogging has been a bit sparse lately, mostly due to ongoing computer issues with the new machine (we should be fixed soon, as about the only thing left to replace is the motherboard...). I have begged and borrowed computer usage, currently doing the latter (Lynn to the rescue again *-). Truth to tell, there has also been another distraction in our household. Meet Polly, the newest addition to our family. I arrived back from a weekend out of town in May to find a food dish and litter box...and a huge grin on my youngest son's face. The kitten followed him home late one night as he was walking from a friend's. She was in the middle of the street when he first saw her, shivering, scared, and crying - imagine this little baby out in the dark alone. We've had her a month now and she's grown considerably, both in physical size and in our hearts. We canvassed the neighbourhood and ran ads on the radio but no one claimed the kitten, so...she's ours. Youngest named her Polly as she has the annoying habit of climbing up your back (with needle sharp claws)to sit on your shoulder, like a parrot. We're working to break her of that. Polly is full of kitten silliness and energy and runs and tears until she drops. She is very happy in her new home. She has a keen interest in quilting so I know she will be a valuable addition to the sewing room. Friday I had the pleasure of meeting someone with whom I have been "friends" for many years. Award-winning longarm quilter Jacqueline Pohl of The Vintage Quiltery in Gladstone, Manitoba made a trip east and we finally met. I enjoyed the day a great deal. She brought this funky-patterned bag which will be terrific for carrying quilts. It's got lots of pockets inside and out -I love it! I'm not sure exactly when I first connected with Jacquie, but it was long ago enough that she was one of the very first - and very best - long arm quilters around, and worth it to courier quilts half-way across the country to her. Over the years she has quilted many quilts on her Gammil for me which appeared in numerous books and magazines. The Log Canada quilt which is pictured in the heading of this blog was quilted by Jacqueline Pohl; it toured the Houston quilt shows in the O Canada exhibit 2 years' ago and also appeared in the book Canadian Heritage Quilting. Jacquie also quilted the cover quilt for this book, Gram's Baptist Fans. We spent a wonderful day together. I showed her a top I am about to start quilting and she offered suggestions on how she would quilt it - then offered to take it home and do it! I turned her down as I didn't think it fair to send her home with work, but it was tempting. She is heading back with some very interesting souvenirs of her trip to the Maritimes, though...including lots of pictures of the tin ceilings of Dayle's Department Store. We have been out checking on the blossoms and the bees. The blueberries are still in flower so the bees will enjoy their nectar for a bit longer. With hives spread over four different fields, it takes awhile to visit them all. In some areas, it is necessary to protect the hives with electric fencing which needs to be deactivated before we can get in to check the bees. It always makes me nervous but it's better than having the colonies ransacked and destroyed by hungry bears. Most bears don't get that gentle "rumbly in my tummy" like Winnie The Pooh... I love the colour of blueberry fields; the red is Sheep Sorrel. We've had a few glorious days of sunshine and the bees are taking full advantage of the weather. Does It Come In Red? I've been stitching out sample motifs for the N.S. Fibre Arts free motion workshop in a variety of colours. Green, white and cream all came out very pretty so I decided it was time to try it in red. I found a lovely bright red Kona solid in my stash which was perfect. For the pastel shades, I was able to simply place the fabric on the design and trace the lines with a water soluble marker. It did not show through the red however, so I had to transfer the markings in an alternate way. As with everything else, there are a myriad of ways I could have done this, but I chose to make a stencil of the design as I will be stitching this several more times. To make the stencil, I traced my design onto plain white bond paper using a Sharpie marker. I fitted an old, dull 100/16 needle in the unthreaded machine and stitched through the lines. I pinned the stencil in the centre of my fabric and rubbed a "pounce" filled with white powder across the stencil. The powder goes through the holes and marks the fabric. It's fast and easy and the stencil may be used over and over. The powder is an iron-off type so it is easy to remove, and yet stays in place during quilting. With the fabric now layered and basted, it was time to choose a thread colour. These are some of the Wonderfil Konfetti 50 wt. cotton threads which I received last week. I am tempted to use the off-white as I like a lot of contrast in my work, but decided that the red shade was different enough from the fabric that it would show nicely. Just a bit more filler quilting in the background and this will be finished. 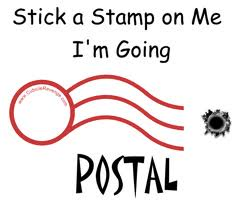 I have resisted "going postal" on this new computer, which has been one problem after another since its arrival here a couple of months' back. Oddly, I am resigning myself to accept the daily crashes and refusals to boot. I have come to expect that it won't work properly. The installation of a new graphics card on Thursday was greeted with much anticipation as the solution to the problems but the euphoria was short-lived as it started again after two days of good behavior. My household back-up choices for online work include an iPod Touch, a tiny netbook, a wii and a Nintendo DS. Thank heavens for all of them...and for glasses which allow me to see the tiny keys on these devices! If I am slow responding to email, please be patient. Designs for today's busy quilters. 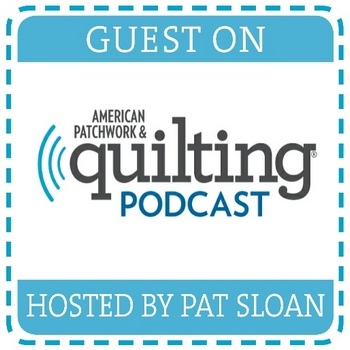 I'm a quilt and pattern designer, award winning quilt maker, author and teacher. Since 1989, I have published well over 600 quilting patterns in magazines such as McCall's Quilting, Quilter's Newsletter, Quilt World, The Canadian Quilter and Quilter's Connection. I have contributed designs to 16 different books and co-authored Canadian Heritage Quilting with Diane Shink. 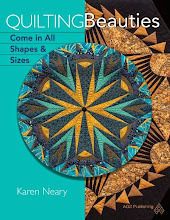 My latest book, Quilting Beauties Come In All Shapes and Sizes, was published by AQS in 2015. 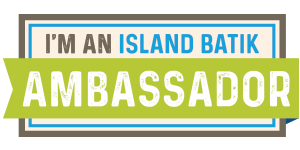 Since 2018, I have been an Island Batik Ambassador. I am a dealer for Aurifil thread, and enjoy teaching workshops as time permits. Karen's new book from AQS!